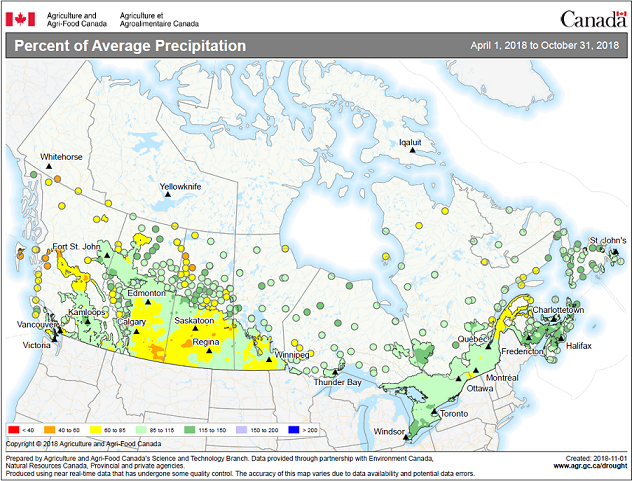 The November Farm Survey of crop production covering approximately 26,800 Canadian farms was conducted from October 5 to November 13, 2018. Farmers were asked to report their estimated seeded and harvested areas, yield and production of grains, oilseeds and special crops. This survey collected data from every province. This release provides the final production estimates for 2018, which are subject to revision for two years. 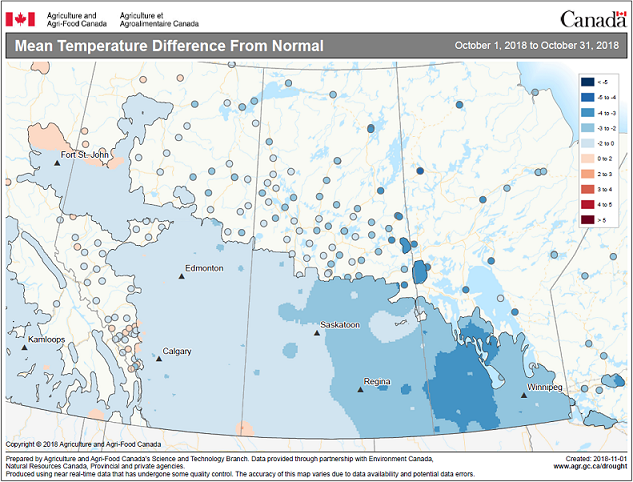 Readers are invited to visit the Crop Condition Assessment Program web application, which is an additional tool to assess growing conditions of field crops during the crop year. Readers can monitor a vegetation index of crop land on a weekly basis. Crop Reporting Survey at a Glance: An easy-to-print chart, which provides an overview of our survey cycle, is now available. The Effects of the Crop Reporting Cycle in field crop statistics, 2008 to 2018 examines the differences between the preliminary and final estimates for field crop statistics, and the impact of the crop cycle on these estimates. The infographic "Fields of Gold: Canola exports and production," which is part of Statistics Canada—Infographics (Catalogue number11-627-M), is now available.